The shopper engagement app, Snapcart, is now on iOS! The app rolled out last August 2016. It has enjoyed over 97,000 downloads on Android, which the company is planning to mirror on iOS. “iOS is a very big part of the Philippine market. 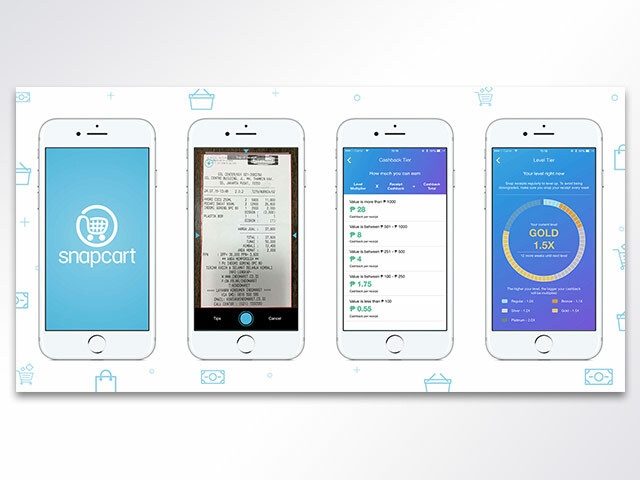 It’s about 20% of smartphone users and so we need to cater to that big margin of market as well and provide them with the value of Snapcart which is getting cash backs from receipts,” said Mayeth Condicion, Snapcart Co-founder and Chief Data Officer. Snapcart is a mobile app that gives its users cash back incentives by simply taking a snap of receipts from groceries, pharmacies, and cosmetics. Users can cash out through phone credits, bank-to-bank transfer, and vouchers such as Zalora. In return, data gathered from receipts provide real-time shopper insights to the app’s partner brands. To give its users an interactive experience with the app, there is an in-app bonus page where users can accumulate coins by filling out in-app surveys, watching videos, and taking selfies with their favorite products. These coins can be used to increase their chances of getting cash, and other surprises like shopping vouchers from Snapcart’s partner brands in the in-app game called Snaptastic. For more geek-centric news and reviews, please follow us on Facebook (facebook.com/TechnoBaboy), YouTube (TechnoBryan), Twitter (@technobaboy), and Instagram (technobryan). We’ll do our best to keep you up-to-date.